Montezuma’s Castle is one destination that I hear Arizona visitors talking about visiting on a regular basis. It is relatively close to Phoenix, for people that want to stick to a shorter day-trip, and it is on the way to a variety of highly popular Arizona destinations including the Grand Canyon, Sedona, and Flagstaff. That being said, of the National Parks/Monuments that I have been to, I find Montezuma’s Castle to be disappointing. It is $5 to get into the park (this ticket also buys entry into Tuzigoot National Monument, but this is a considerable distance away and I think you would have to plan ahead to do both to really be willing to utilize the joint ticket), and there is only one short trail in the entire park. Being an avid hiker, this detracts from the destination for me, but there is a very nice visitor center at the monument and there are a variety of informational signs lining the trail. The ruin is breathtaking to behold, and of the cliff dwellings in North America, it is one of the best preserved. 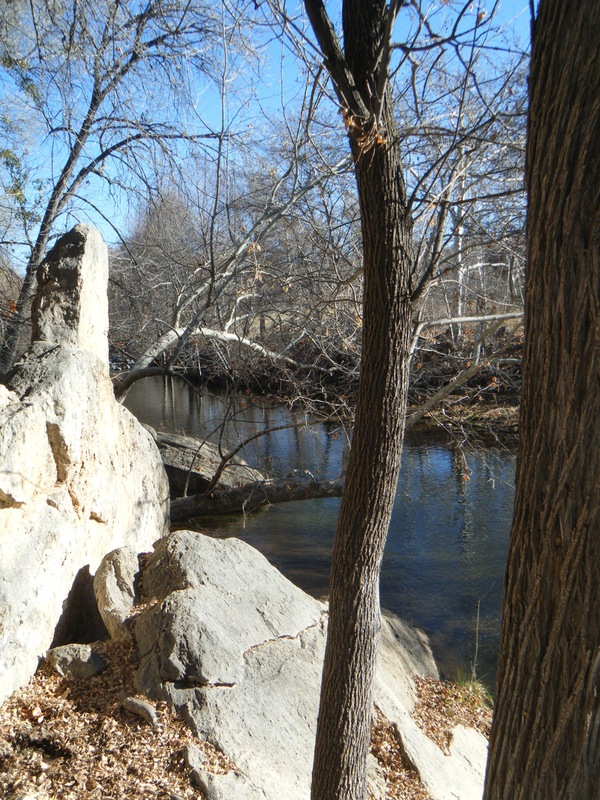 As you walk down the park’s sole trail towards the ruin, you immediately catch sight of it tucked into the side of a sandy colored cliff that runs along the shore of the Verde River. The cliff itself has horizontal layers, which have been worn by the Arizona weather to the point that they have become accentuated, and a variety of small caves have been carved into the cliffs. In the largest of these is perched Montezuma’s Castle, its sharp, human-made lines in stark contrast with the natural accents of the cliffs and surrounding landscape. The cliff dwelling dominates the view wherever you stand on the cliff-side trail, and it is hard to take your eyes off of it. The Sinagua people built this cliff dwelling here due to its choice location next to the Verde River, which helped feed their crops. 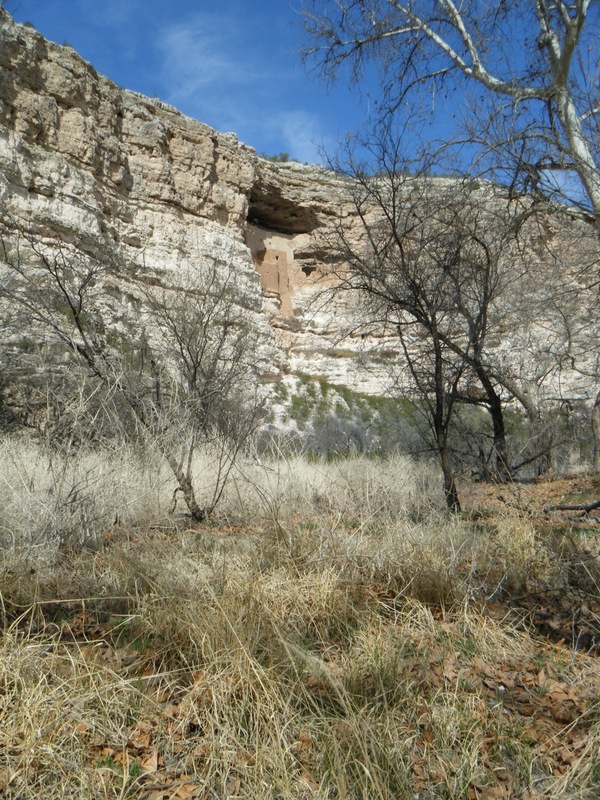 This area was rich enough that before the Sinagua people, the Hohokam had used this area as well, and in fact, the people of Montezuma’s Castle used the old Hohokam irrigation system in their city (similar to the modern city of Phoenix). Besides being a splendid example of a Southwestern Arizona cliff dwelling, Montezuma’s Castle provided archeologists with many artifacts that allowed us a glimpse into the Sinagua’s world. 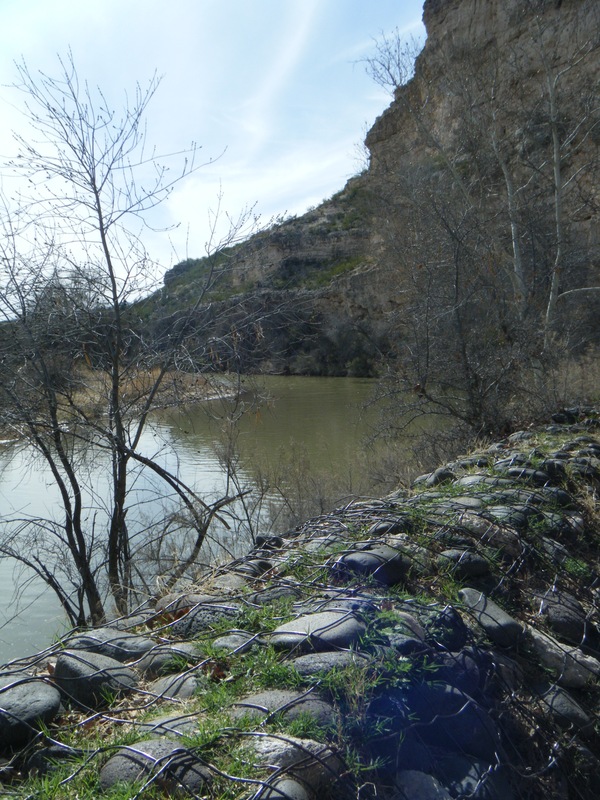 The last half of the trail passes along the shore of the Verde, and it is a good idea to stop here and take in the powerful river that once supported the ancient peoples of Arizona and continues to provide life sustaining water to modern people. In the middle of the desert, there is nothing that I find more special than water; it is the rare life blood of the desert, and I can’t help but stop to appreciate it. Now, something that I hear less people talking about, but which I found to be much more of a “must-visit” is Montezuma’s Well. This area is just a short drive down the road from Montezona’s Castle, and while it is part of the national park it is FREE! Here visitors follow a trail up to the unique freshwater environment of the Well, which is a small, circular lake surrounded by cliffs. Tucked into the layered, aged walls of the shore cliffs are small, one-room ruins that have stood the test of time (and which should not be entered due to their fragility and their importance to the Hopi people). There are no fish in the Well due to its relatively high levels of carbon dioxide, and in fact, the top predator here is a swimming leech found no where else in the world. This special freshwater ecosystem is fed by ancient underground water, which enters the well through two main vents at its floor. Due to this the Well was an important location to Native Americans in times of drought as it never ran dry. Even better, the Well’s waters flow out through a crack in its crater into Wet Beaver Creek, and this water was channeled by Native Americans as a reliable source of water for agriculture. 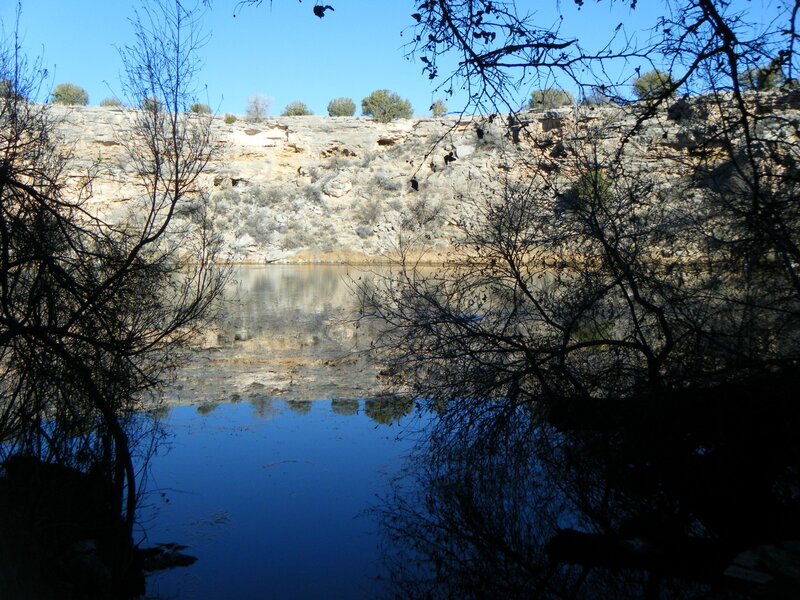 Exploring the Montezuma’s Well trail will take you along the shores of the Well, offers great views of the ruins here, and then leads out of the crater to Wet Beaver Creek. The abundance of this area, in the midst of the dry desert all around, is breathtaking. Trees gather around the edges of the creek, birds sing persistently, and a diversity of insects call the creek home.